The Commander products have been out for a little over a year now, and I see more than a few decks from EDH players, new and old, build around the wedge generals from the Commander boxes. Some of them, like Kaalia of the Vast and Animar, Soul of Elements I am downright sick of. While I think the Commander products released by Wizards were a smashing success in terms of their business and a great boost to the size of the community, part of me wonders about whether the old ‘power’ generals continue to deserve the bad reputation they possess now that the game has seen another year’s power creep. There was no question that the likes of Zur the Enchanter and Sharuum the Hegemon deserved their reputations beforehand. Since the release of the Commander products and Innistrad block, it isn’t entirely clear that the old guard are still the most overwhelmingly powerful decks around and deserve the maligned attention they still might receive. I realize that there are plenty of generals I am leaving out from these lists, but I think that the examples I provide will make my point, that the generals that people considered to be a dire threat in the first half of 2011 should probably have less attention than some of the generals from the Commander sets. Kaalia of the Vast – Kaalia is one of the most devastating generals to come out of 2011’s Commander product. With an aggressive cost, and an ability that circumvents the costs of creatures on a scale that would make any reanimator deck jealous, Kaalia is fairly well known for coming quickly out of the gate. With card draw and tutors (which conveniently dovetails with Kaalia’s best feature in the form of Bloodgift Demon and Rune-scarred Demon, among others), Kaalia can become unmanageably fast. No Buried Alive or Entomb shenanigans are necessary, though, they are highly recommended since the late game plays will be black mass reanimating spells like Living Death or Pyrrhic Revival. Perhaps what makes Kaalia so dangerous is the ability to play a deck largely full of high quality creatures, and then never suffer for it because of Kaalia’s ability, and the stop-gaps available in White/Black/Red. Initial creature quality, Quicksilver Amulet, Sneak Attack, and Animate Dead-style spells with Red’s looting effects from Innistrad block all make a reanimator backup plan very viable. Reanimate spells also increase Kaalia’s resilience to removal. In short, Kaalia is aggressively costed for a powerful early game, and facilitates a mid- to late-game that also enhances her resilience. Animar, Soul of Elements – The two phrases I heard the most after players experienced Animar were “extremely powerful” and “accidentally comboed out”. Animar is among the most aggressively costed generals, has very powerful native protections, and creates an abundant amount of tempo while becoming an unmanageable threat himself. Given that Design at Wizards has decided that every spell should be tacked on to a pair of legs or wings eventually, it comes as no surprise that Animar has little difficulty in dealing with anything: there are creatures that draw cards (Mulldrifter, Sphinx of Uthuun), creatures that counter spells (Draining Whelk), creatures that will kill other creatures (Flametongue Kavu), and much, much more. To make matters worse, there are a bunch of effects that will let you reuse your creatures or extract more value out of them, like Cloudstone Curio, Equilibrium, Crystal Shard, Erratic Portal and Warstorm Surge. If you find a Recycle or Aluren, the combo potential becomes increasingly silly. I don’t want to equivocate; as is, Animar is a ridiculous commander. Even without Cloudstone Curio, or any of the silly tech available, he turns cards like Mulldrifter into an almost-Ancestral Recall, and if you’ve cast enough other creatures, its evoke cost becomes a non-consideration and you get a 2/2 flier on top of it. Later, when Peregrine Drake becomes better than a Cabal Ritual, and Knollspine Dragon becomes a one-sided Wheel of Fortune, it may be hard for other players to keep pace. With any Cloudstone Curio-like ability, there is a good chance a random set of creatures will combo out (I mean, you could draw your whole deck and generate a ton of mana with a Mulldrifter, a Peregrine Drake and Equilibrium/Curio). Animar is a catastrophe on cardboard, especially once you remember he has protection from Swords to Plowshares and Terror with all their variants. Zur the Enchanter – The frowns made at Zur probably reached their zenith when it was discovered that you could search your library for Necropotence with his first attack, and that everything after that was far less relevant than anyone previously thought. There have been gallons of internet ink spilled on this chap, most of it the same, about how powerful he is. Necropotence is a backbreaking card. Adding Solitary Confinement to it pretty much seals you off against almost anything that could hurt you. Placing combat related enchantments like Empyrial Armor and Steel of the Godhead can make Zur a short clock. Backed by countermagic, Zur can be all sorts of trouble for opponents. I’ll be honest, I think Zur is the only one of the ‘old guard’ who stands up to the new guys. He is remarkably analogous to Kaalia, in that he’s an aggressively costed, relatively small creature with flying that makes things incrementally worse every time it attacks. A superficial difference between Zur and Kaalia is that Zur has blue in his colour identity, and typically can be backed up by counterspells. The difference is superficial, because white has more than enough effects like Shelter or Cho-Manno’s Blessing, that the result of targeted removal is essentially the same. The real difference between Zur and Kaalia is that Zur will always make the situation worse in a very predictable and small way, while Kaalia will make things worse in an unpredictable but enormous way. If your best play is Necropotence with Solitary Confinement, you’re a Krosan Grip away from being vulnerable. Zur also allows for a broader amount of removal: creature removal will serve for Zur when he’s cast, and failing that, enchantment removal will serve for the things he generates. If a player lacks an answer for Kaalia, they probably will not be able to answer the tide of monstrosities that follow in her wake. Further, Kaalia will give you far less time to answer her than Zur will. Azami, Lady of Scrolls – Azami has been one of the most recognizable generals of all time. This is probably because she offers the following features that most Commander players view with some amount of apprehension, if not outright disdain: Azami is mono-blue, cannot reasonably deal combat damage without help, plays strongly into a tribe of creatures not known for engaging in combat, and looks to be only capable of combo and control. I certainly feel like Azami’s day in the sun – which has been long, despite what her pallor would suggest – is essentially over. Yes, there have been more monoblue wizards, especially neat ones like Laboratory Maniac, printed over the years. Yes, there are more blue spells that seem worthy of inclusion than ever. But, how many of these new cards actually find their way into an Azami deck? Snapcaster Mage for sure, and Laboratory Maniac is the latest flavour for comboing out with Mind Over Matter. Yet, beyond those, it’s hard to see how the Azami deck has gotten more options. 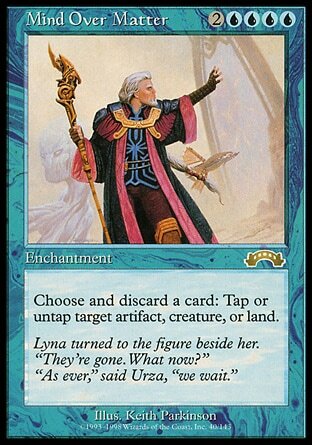 Perhaps with enough human wizards, Captain of the Mists could be like Inspired Sprite or Merrow Levitator, but one mana cheaper (this is not likely, by the by, considering the incredible number of merfolk and faerie wizards out there that will probably never be surpassed in quality). Or, perhaps Beguiler of Wills could be sweet with Mind Over Matter (if you’re squeamish about winning on the spot with the Maniac). Azami hasn’t really seen a boost in a long time, and at this point in Commander’s life, there are simply more aggressively costed combo generals. Particularly, I’m thinking of the aforementioned Animar. Animar might be (arguably) dependent on Cloudstone Curio or Equilibrium to combo out, but, he also protects himself and does not limit the creatures he interacts with to island-dwelling poindexters with a penchant for pointy hats. Rather, Animar welcomes all, except the white and black removal spells. Animar can also pack more of a punch than our 0/2 librarian. As time goes on, this disparity will only grow larger; Azami relies on mono-blue sorceries and instants, and the very narrow mono-blue wizard, while Animar will take Red and Green spells in addition and doesn’t seem to much care about creature types. Obviously Azami decks will typically offer more control than Animar decks, but control has become increasingly difficult as more cards like Grand Abolisher and Cavern of Souls find their way into printing presses at Wizards’ behest. I could go on, but I don’t think there’s much point in me comparing Azusa, Lost but Seeking, Sharuum the Hegemon or especially Jhoira of the Ghitu to the newer bunch. This article is only meant to show that newer generals should probably put you on tilt as much as or more than the powerhouses of old. The next time you’re at a table with some of the new generals, like Ghave, Guru of Spores and a golden oldie, consider the potential of these new guys on par with the previous generation.